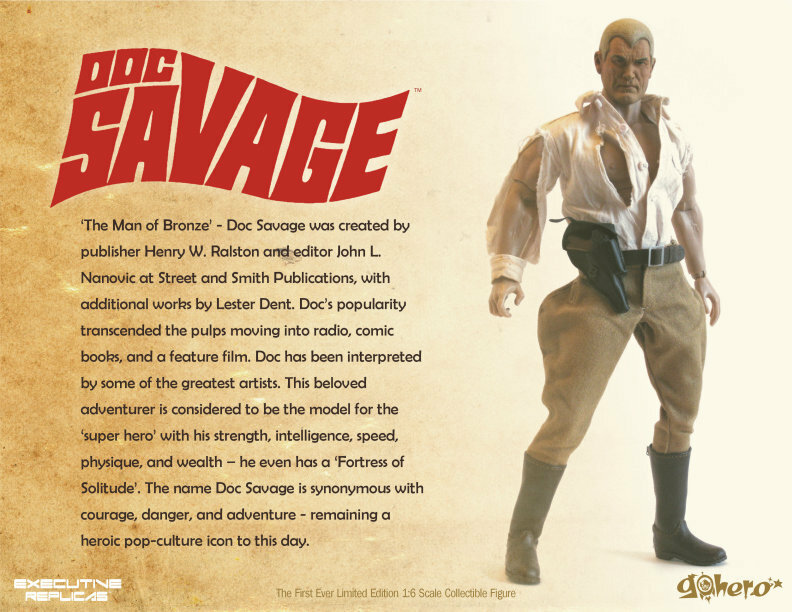 Doc Savage, the Man of Bronze, was an original action hero from the pulp magazine era. 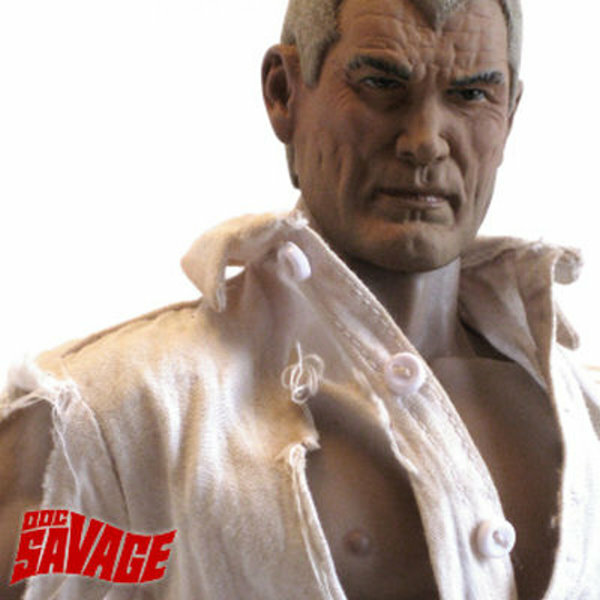 This 1:6 scale deluxe action figure features a Silver Age design with 40 points of articulation. 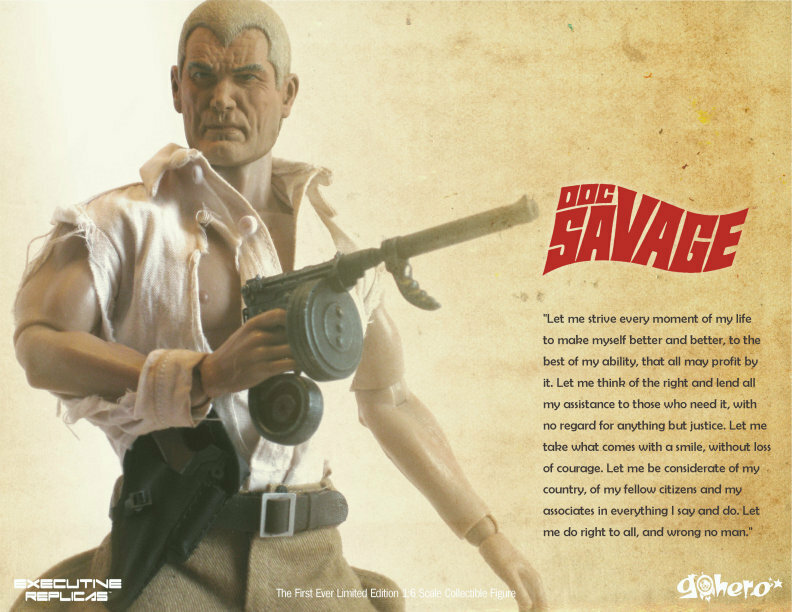 It comes with a leather belt, holster and boots. 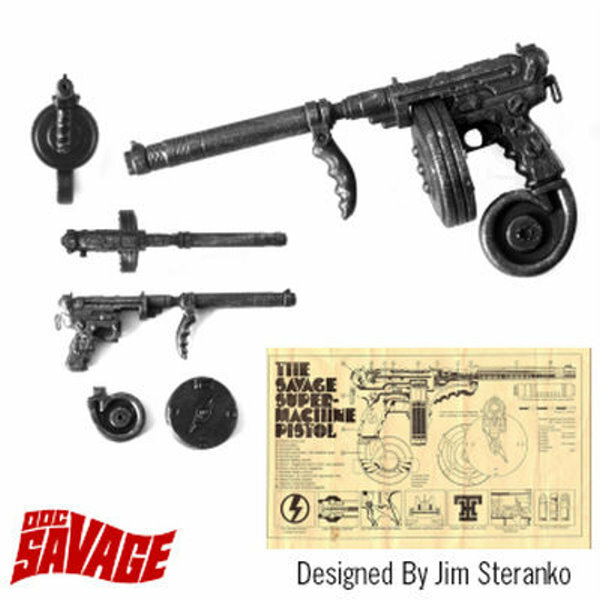 Accessories include the "Super Savage Machine Pistol," a ray gun, and a German Lugar. 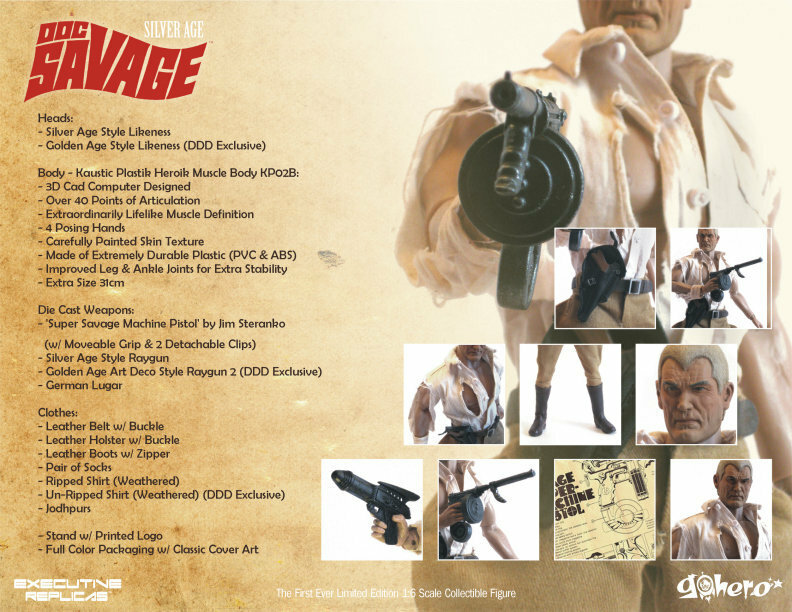 Limited numbers available.